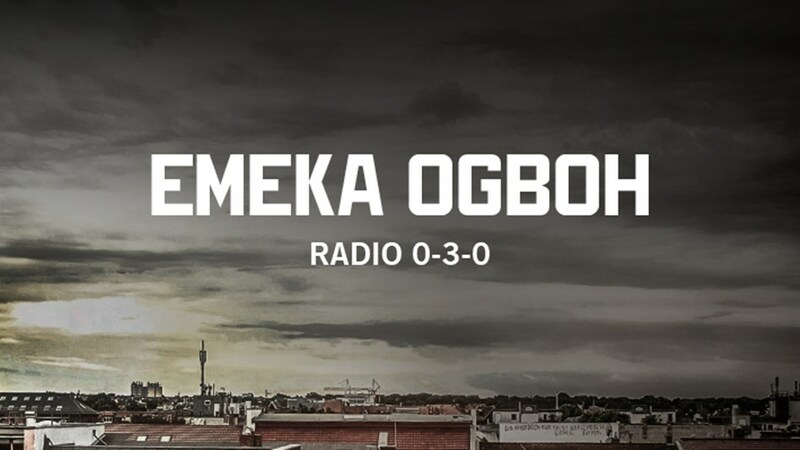 RADIO 0-3-0 combines a vast array of recorded audio materials such as news reports, interviews and music into a radio program, which examines the refugees’ situation in Berlin. He thus inquires how the city as such is reacting to the situation. The sound installation RADIO 0-3-0 invited the visitors to stay and listen during a local mini-fm broadcast at the Gorki Theatre in Berlin as part of the Herbstsalon in October, 2015. This radia.fm compilation is extracted from over ten hours of radio material. 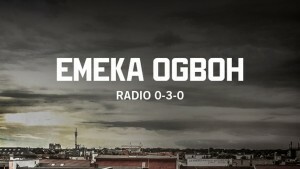 EMEKA OGBOH, lives and works in Berlin. His works have been presented in the Museum of Contemporary Art Kiasma, Helsinki (2011), DAK‘ART 2014, Dakar (2014), in the Louisiana Museum of Modern Art, Humlebæk (2015), and the 56. Biennale di Venzia (2015). Special Thanks to: Alpha, Deutschlandradio, Ditte Haarlov Johnsen, Carrie Hampel, Hla Al Hourani, Muhammed Lamin Jadama, REM TV Produktion, Reboot FM, Refugee ClubImpulse, Refugees Revolution Band, REM TV, Schaubühne Berlin, Sissi FM –feministisches Stadtmagazin „We never speak the truth!“, Sudan Papol Music (SPM), The Voice, Voice Refugee Forum and Die Karawane. Alpha, Deutschlandradio, Ditte Haarlov Johnsen, Carrie Hampel, Hla Al Hourani, Yango González, Andrea Gordillo, Muhammed Lamin Jadama, René Kaur, Lola Lustosa, REM TV Produktion, Reboot FM, Refugee Club Impulse, Refugees Revolution Band, REM TV,Schaubühne Berlin, Sissi FM – feministisches Stadtmagazin „We never speak the truth!“, Sudan Papol Music (SPM), The Voice, Voice Refugee Forum and Die Karawane. This entry was posted in #36 and tagged Reboot.fm. Bookmark the permalink.